Beautiful Baldwin Drive home for sale offering 4 nice sized bedrooms, 2 full baths, and 2 half baths. This well maintained home provides over 2,600 square feet of total living space and features an open great room with a large living room, dining area, and huge cabinet filled kitchen with major appliances. Enjoy convenient main level laundry, a massive sunporch with lots of windows to take in the gorgeous lakefront views, and a finished walkout lower level with a family room. This well maintained property offers a fantastic location with panoramic lakeviews on a level lot, tons of storage space including a boating equipment room, relaxing rear deck, boat dock, an attached 2 car garage, and concrete driveway. 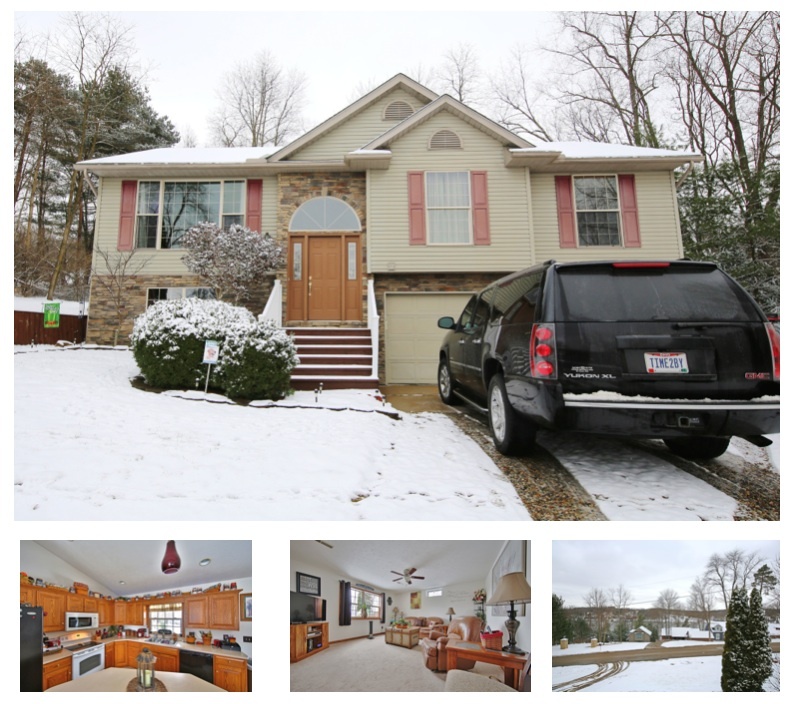 Located in the East Knox School District in the Orchard Hills Subdivision, this exceptional home is fantastic for part time or year round lake living. This home won't last lone at $585,000. 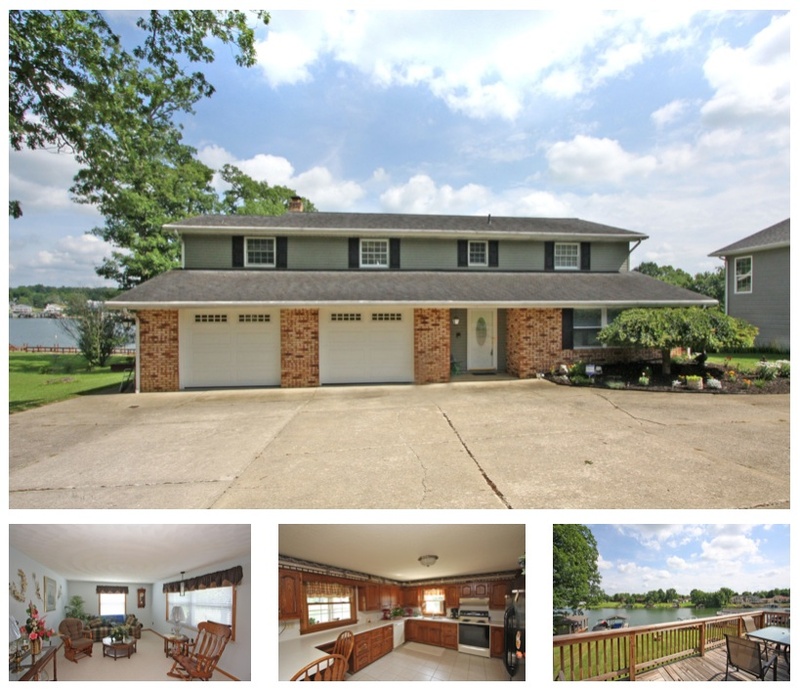 Click here for more information on this 360 Baldwin Drive LAKEFRONT home for sale at The Apple Valley Lake in Howard, Ohio, 43028. To search all available lakefront properties for sale at The Apple Valley Lake, click HERE. Super cute and updated 2 story home for sale on Winesap Circle at The Apple Valley Lake that offers 4 bedrooms, 2 bathrooms, and privacy. This lovely home has an open floor plan with a nice sized living room, dining area, and pretty white cabinet filled kitchen that includes appliances. This property offers convenience with main level laundry, updated flooring throughout, and a relaxing front and rear deck. 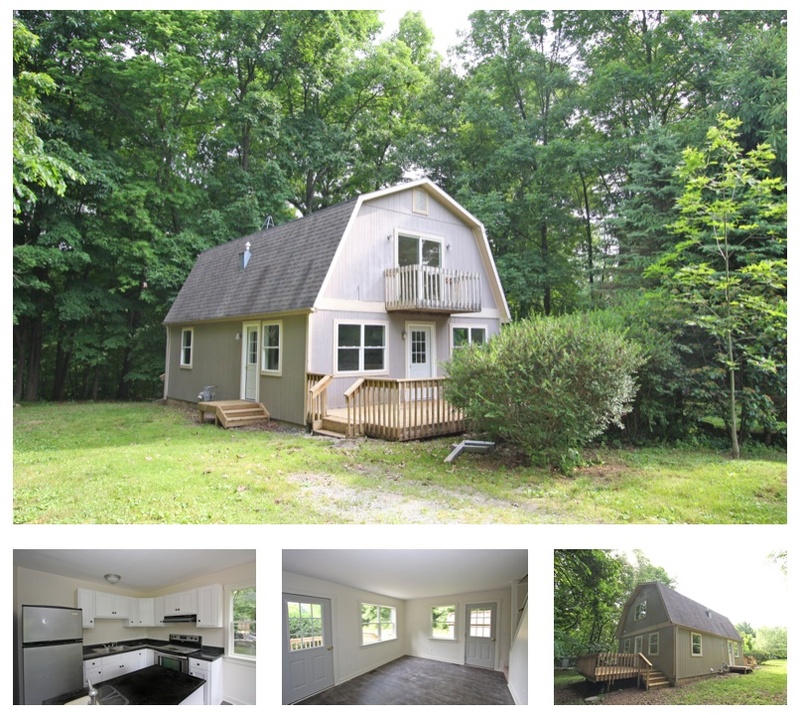 Available for immediate possession, this home includes propane forced air heating, a yard barn for added storage, and is located in the East Knox School District. Priced to sell at $125,000. Click here for more information on this 803 Winesap Circle home for sale at The Apple Valley Lake. Situated in Grand Ridge Subdivision, this 5 bedroom, 3 full bath home for sale offers an open and spacious floor plan as well as an in - law suite. With approximately 2,800 square feet of total living space, this lovely residence features a great room with vaulted ceilings and easy care laminate flooring as well as an adjoining dining area and stunning cabinet filled kitchen with granite countertops, a pantry closet, and includes major appliances. Enjoy the owner's bedroom suite with an on suite bath and walk in closet, accomplish daily tasks in the home office space, and relax on the rear deck. The finished lower level is currently set up as an in - law suite with a living, dining, and kitchen space as well as a bedroom with a walk in closet and access to bath with a walk in shower. This gorgeous property offers convenient main level laundry AND lower level laundry hook up, an attached 2 car garage, and is located in the East Knox School District. Planted among a beautiful neighborhood, this gorgeous home is priced to sell at $225,000. Click here for more information on this 475 Ridgeland Drive home for sale at The Apple Valley Lake. Gorgeous 3 bedroom, 2 bathroom bi – level home for sale with a lovely view of The Apple Valley Lake. 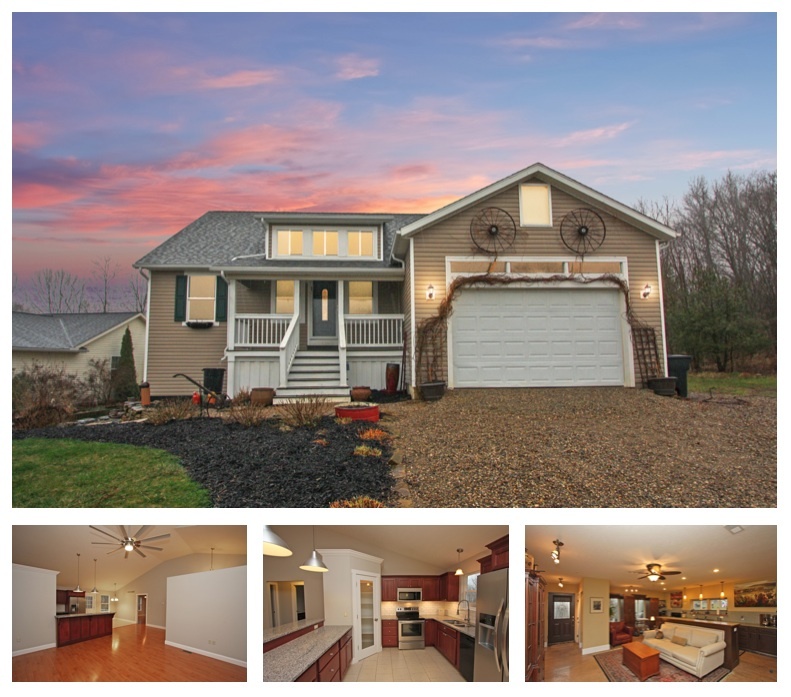 This property features a great room floor plan that includes a nice sized living room highlighted by a gas log fireplace as well as a dining area and exceptional Schrock cabinet filled kitchen with a fantastic island. This property also features a nice owners suite with its own private bath, a finished lower level family room, relaxing rear deck space, attached 2 car garage, forced natural gas heat and central air conditioning. This beautiful home won’t last long for just $190,000. Click here for more information on this 636 King Beach Drive home for sale at The Apple Valley Lake. Live just 2 minutes away from the Apple Valley Lake Marina in this absolutely breathtaking 3 bedroom, 2 bath, newly constructed ranch home in a quiet cul-de-sac. Located in Northridge Heights Subdivision, this property is situated on 0.58 acres and offers over 1,500 square feet of above grade living space. Walk in through the front door to admire the soar cathedral ceiling great room with a living room, dining area, and incredibly stunning white cabinet filled kitchen with granite countertops, a farmhouse sink, soft close drawers / cabinetry, incredible kitchen island, and all major appliances. It's hard to not fall in love with this gorgeous home. The property offers so much to its future owner including a lovely owners suite with double walk in closets and a deluxe on suite bath in addition to 2 nice sized bedrooms, convenient main level laundry, a full walkout basement, forced natural gas heat, central air conditioning, and an attached 2 car garage with a storage closet. This home is located in the Mount Vernon City School District (Pleasant Street Elementary) and is an absolute MUST see property to appreciate its incredible beauty. Priced to sell at $225,000. 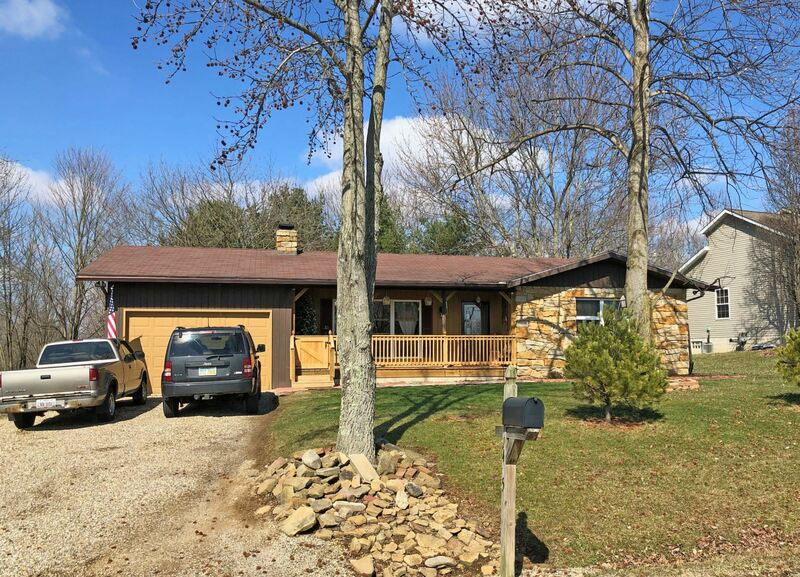 Click here for more information on this 82 Crestridge Court home for sale at The Apple Valley Lake in Howard, Ohio 43028. View all homes for sale at The Apple Valley Lake by clicking HERE.